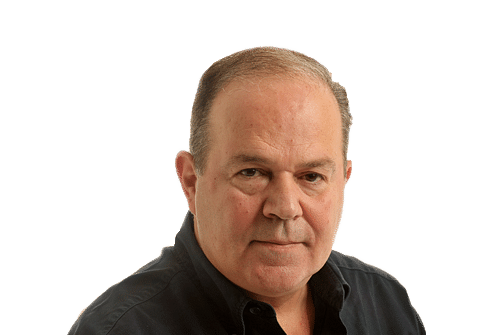 Jonathan Eyal German parties aiming to form a government in the wake of September's inconclusive elections have set themselves a deadline of tomorrow to produce the agreement which will form the basis of a new coalition. But the differences between the parties remain substantial, and Chancellor Angela Merkel's ability to bridge the gap between her coalition partners has never been more restricted. Dr Merkel won her fourth consecutive term in office, a rare honour few previous German leaders were granted. Yet her ruling Christian Democratic Union (CDU) attracted only 33.1 per cent of the popular vote, the worst result since the 1949 election after the end of World War II. Dr Merkel's only consolation was that the Socialists, her chief opponents, did even worse, scoring their lowest electoral results in a century. 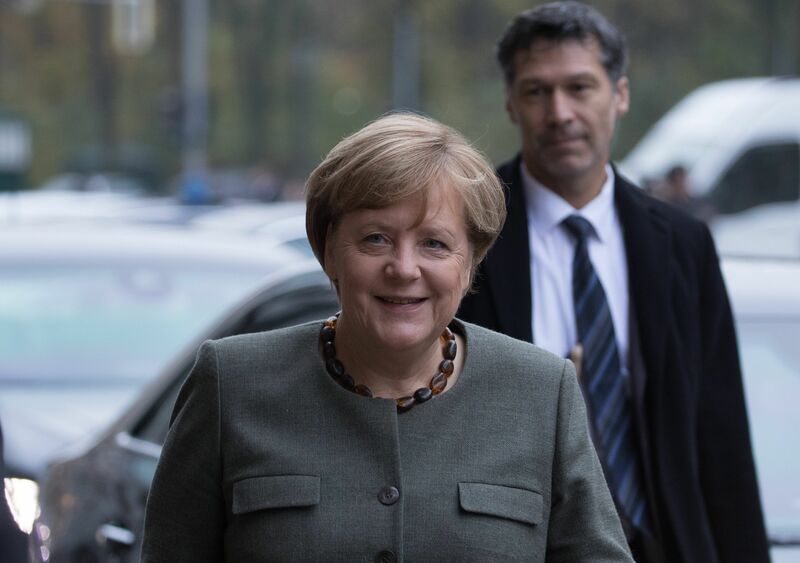 The Chancellor also got a boost from the fact that the centrist Free Democratic Party (FDP) did relatively well, thereby allowing her the possibility of forming a coalition comprising the CDU, FDP and the small Green party. This quickly came to be known as the Jamaica Coalition, since the party colours of the three partners are the same as those of the Caribbean island-state. The snag is that, although the three parties are determined to tie the knot, they all have contradictory demands. For Dr Merkel's CDU, the biggest difficulty comes from demands within her party - and especially from politicians in the southern German state of Bavaria which has always been more conservative - for the imposition of a cap on immigration. They seek to limit the number of refugees and asylum-seekers allowed into the country, in order to avoid a repetition of events in 2015, when an estimated one million refugees poured into Germany in the span of two months. Dr Merkel tentatively agreed with her Bavarian colleagues to a cap of 200,000 immigrants each year, but that deal is fiercely opposed by the Greens who claim that no cap is feasible. An additional topic of dispute is what should be done about immigrants who had their asylum applications rejected, but are yet to be deported. New figures published by the German government indicate that 158,000 people are in that category, and the authorities want to speed up the deportations. But the Greens oppose accelerated deportations, arguing that it is not safe to send people back to countries at war, such as Afghanistan. In the lead-up to tomorrow's deadline, Mr Peter Altmaier, the Chancellor's influential chief of staff, prefers to concentrate on what unites parties on immigration. "In principle, we agree: no one wants to change the fundamental right to asylum," he said. Yet he admitted that "in the details, it will be difficult" to reach a deal. An equally important battle is being fought over the management of the euro, Europe's single currency, on which the Germans have the biggest influence, due to the sheer size of their economy and financial reserves. Until now, German officials have been adamant that countries which run high deficits and end up with unsustainable debts cannot hope to be bailed by others. Instead, they have to put their own house in order by imposing austerity, even if this creates terrible economic hardships; the euro is "not a transfer Union", Germans like to say. But since he came to power in May, French President Emmanuel Macron has urged the Germans to abandon this purist approach, and accept that, if the euro is not going to lurch from one crisis to another in the future, a mechanism for helping nations in temporary need has to be found. Dr Merkel is sympathetic to this view. Immediately after her re-election, she said that Mr Macron's appeals were "a good basis in order to continue to work in an intensive way between Germany and France", and highlighted points of convergence including plans to create a European Monetary Fund to provide financial assistance to countries in economic difficulty. The snag for Dr Merkel is that her centrist FDP future coalition partners are adamantly opposed to this, and they may have a majority of Germany's public opinion on their side. The disagreements on this, according to all the parties in the coalition talks, remain significant. Germany has a history of spending months in boring coalition-building talks, only to then form a government which works smoothly for the entire parliamentary term. Chances are high, therefore, that the current disputes will subside; instability is hardly likely to come to one of Europe's best-run countries. Still, not only the future composition of the German government, but also the future of Europe's currency and political structures will be decided by the coalition talks in Berlin, as early as tomorrow. And all of Europe's other leaders can do nothing more than just watch as the continent's future is being shaped in the German capital.